I bought one pack of Mango Soft Cookie a few months back because I wanted to try it, but I totally forgot about it when it was tucked away in the back of our enclosed wooden food cabinet. I found it last week while I was looking for something to eat for snacks. 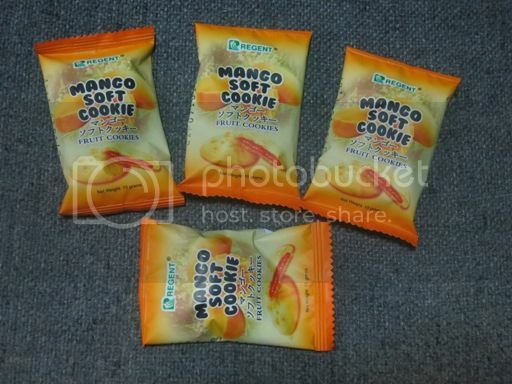 Mango Soft Cookie is manufactured by Regent Foods Corporation. 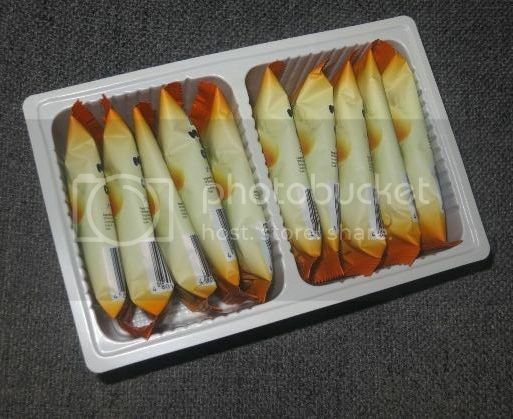 Inside the pack are 10 individually wrapped cookies weighing 15 grams each. Mango Soft Cookie has wheat flour, mango filling, sugar, egg, vegetable shortening, butter, corn starch, syrup, baking powder and iodized salt. •	It tastes like butter cookie. •	It has real mangoes inside. •	Each cookie has 5 grams of sugar, which is equivalent to a little more than one teaspoon of sugar. Because the cookie was small, I need to eat a few pieces to satisfy my hunger, but I can’t eat a lot because I’d be consuming too much sugar if I do that. The most number of Mango Soft Cookie I’ve eaten in one sitting is three. Now, I’ve reduced that to one. I still like Mango Soft Cookie, but I’ll only have it occasionally and just one or two pieces at a time to maintain my daily sugar intake. 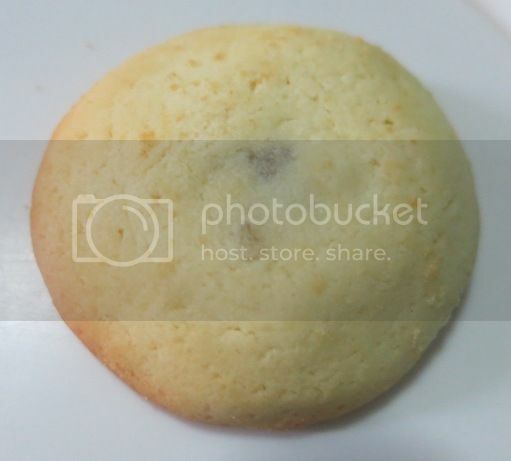 This entry was posted in Mango Soft Cookie, Regents Food Corporation, Snacks. Bookmark the permalink.